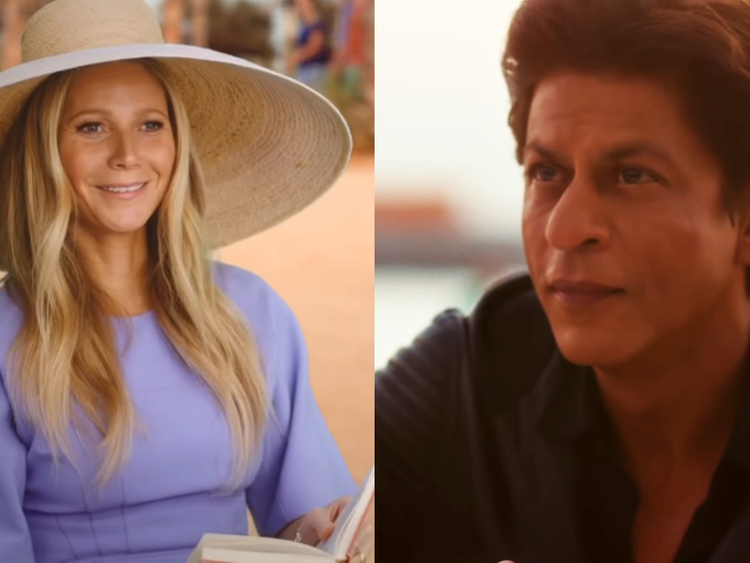 Bollywood superstar Shah Rukh Khan meets an unexpected guest in the latest installation of his Visit Dubai campaign — Hollywood actress Gwyneth Paltrow. Khan’s #BeMyGuest adventure series tracks the Indian megastar as he quests around areas of Dubai, tasked with various missions to complete. He ventures into a neighbourhood in Old Dubai with three coins and tries to crack the meaning behind them, finally finding out what the Arabic letters spell out: Be my guest. Khan sets down the box and the person looks up to reveal Paltrow, who looks surprised to see him. “What’s this?” the American actress asks, to which Khan replies, “Be my guest.” The actor ends the clip with his familiar move of flipping the hood of his leather jacket over his head and walking away. Though there’s no confirmation that Paltrow will be a new face of the campaign, it seems like she may be poised to carry the series further. The video also features a competition component, as viewers are invited to comment on which historic location Khan visits in the episode — and share the video before March 30 — in order to win an Emirates flight, a three-night hotel stay in the city and two single-day tickets to IMG Worlds of Adventure.